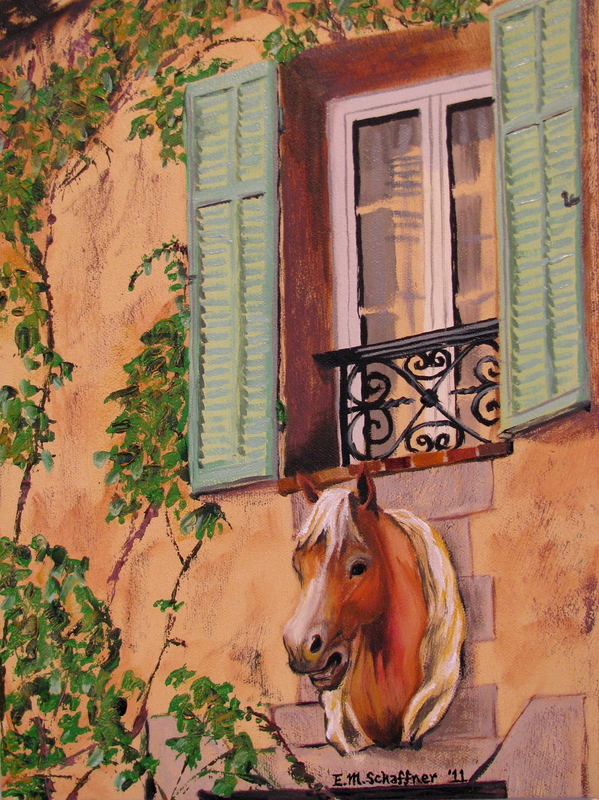 In the summer of 2010, I traveled through the French Riviera, looking for inspiration. When walking the narrow streets of the old district of Antibes, I looked up and saw this striking view. This painting is based on the photograph I took at that moment. I later learned that a horse head such as this marks a shop that sells horse meat!